It was March 2001. 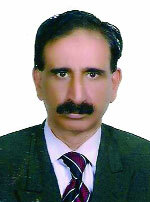 I telephoned to Research Centre of JS Bank from State Bank but it wrongly met with Mr. Sohail of that Centre. When he knew my name, he requested for a meeting. We met next day and there he proposed introduction of Karachi interbank Offered rate (KBOR). Instantly I sent a noting to Dr Ishrat, the Governor of SBP at that time. He gave his approval with additional remarks that Prime Minister of Pakistan Mr. Shaukat Aziz is also interested to have such rates in Pakistan. Hence I give full credit of introduction of KIBOR to Mr. Sohail who is now CEO of Top line Securities, the Pakistan most reputed brokerage and research firm. We started working and immediately called 20 banks with Reuter’s representative. A formula was designed that these 20 banks would be initially members of KIBOR club and would quote interbank rates at 11 .30 AM daily for tenors ranging from 4 weeks to one year. The banks quoting these rates would be bound to accept the transactions at their given rates for the next 15 minutes whether they get any loss in that. After 15 minutes leaving aside 4 upper and 4 lower rates the other 12 rates would be averaged out for that date and they would stand KIBOR/KIBID rates for that particular date. So each working day would have different rates emanating from the banking market. This provided benchmark rates for the whole financial market for that particular date but banks were also allowed to use minus bp or plus bp to these rates. This enabled all banking institutions to use their own rates above or lower to these rates but obviously competition was there to make them remain close to these rates particularly for the customers, corporates and banks on both sides. So basically like LIBOR these rates flow from the markets. In Libor they flow in five different currencies i.e. Pound Sterling, US Dollar, Euro, Japanese Yen and Canadian dollar. In case of KIBOR they flow for PKR only. Four features make them different from SBP Prime Rate or Discount Rate and transactions with customers or non-bank financial institutions including corporate sector. First one is that KIBOR is different from SBP rate since it flows from the banking market and not from the SBP. Second one is that they are not collateralized rates as SBP rate and other rates with customers are. Third one is that they change on each working day. Fourth one is that they are clean lending or borrowing rates. KIBOR means rate at which banks are prepared to lend each other. KIBID means the rate to borrow money from each other. So basically they reflect market liquidity based on demand and supply factors. However, when Islamic banking uses these benchmarks they do it with certain conditions i.e. transaction should be based on some assets. Its investment or use is not allowed for any haram business like Pork, Wine and Prostitution etc. etc. Further speculation (gambling) cannot be made in such transaction. In addition they should not carry some debt on behalf of some other like in Stock Market in Pakistan, only those companies are eligible for Islamic index whose debt stands less than 30% of overall assets and finally in case of Musharakah or Mudarabah or Ijarah they are used and changed on quarter to quarter or on six month on payment of profit. In other debt based forms i.e. Murhabah, Diminishing Musharakah (kinds of leasing) they are decided for once till expiry of the agreement not transferable to someone else except in Malaysia where they can be done in form of Bai’ al ‘inah . 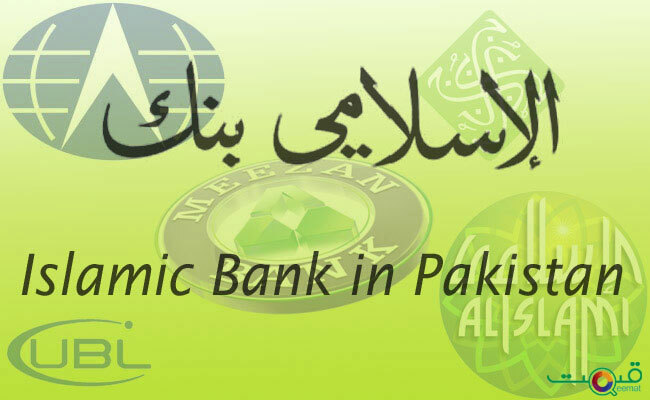 Though in Pakistan Islamic banking is going to reach to the size of 1 trillion deposits but on macro side its role is negligible with no significant instruments to take part in monetary policy management. It is providing maximum financing in form of Murhabah or Diminishing Musharkah, both are leasing in forms and their customers get them at very high rates. Real sectors are on total neglect. They are also providing less return to their depositors as compared to conventional side. Their investment mostly goes to the government in form of Sukuk. So these areas need to be addressed and refined. 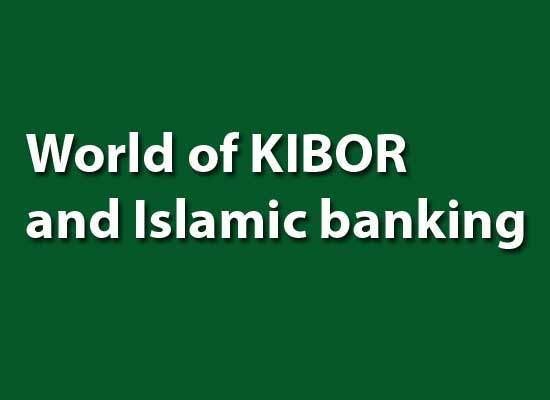 However their stands a view that the Islamic banks and financial institutions should get rid using KIBOR and LIBOR as soon as possible, because, firstly, it takes the rate of interest as an ideal for a halal business which is not desirable, and secondly because it does not advance the basic philosophy of Islamic economy having no impact on the system of distribution. Therefore, the Islamic banks and financial institutions should strive for developing their own benchmark rates. This can be done by creating their own inter-bank market based on Islamic principles. The purpose can be achieved by creating a common pool which invests in asset-backed instruments like musharakah, ijarah etc. If majority of the assets of the pool is in tangible form, like leased property or equipment, shares in business concerns etc, its units can be sold and purchased on the basis of their net asset value determined on periodical basis. These units may be negotiable and may be used for overnight financing as well. The banks having surplus liquidity can purchase these units and when they need liquidity, they can sell them. This arrangement may create inter-bank market and the value of the units may serve as an indicator for determining the profit in murabahah and leasing. No doubt Islamic banks can and should have its own real sector return benchmark. But, in a country adopting dual financial system, where Islamic finance co-exists with conventional finance, low share of Islamic finance has forced Islamic bank to benchmark its price to interest rate. But in spite of this there is a need that Real sector return index should be established. In this regard some examples do exist like Thomson Reuters had launched the world’s first Islamic finance benchmark rate, designed to provide an objective and dedicated indicator for the average expected return on Sharia-compliant short-term inter-bank funding. In another attempt the Islamic Interbank Benchmark Rate (IIBR) were announced at the 18th Annual World Islamic Banking Conference in Bahrain, using the contributed rates of 16 Islamic banks and the Islamic sections of conventional banks to provide a reliable and much-needed alternative for pricing Islamic instruments to the conventional interest-based benchmarks used for mainstream finance. Thomson Reuter’s systems used Rates for Shariah compliant US dollar (USD) funding in reasonable market size that are contributed via each business day between 9.00 AM and 10.44 AM (Makkah time – GMT+3) by a minimum panel of 18 Islamic banks or fully segregated Islamic banking windows. The panel banks contribute their rate based on a pre-defined question specified by the Islamic Benchmark Committee and approved by the Shariah Committee. The rates are snapped by Thomson Reuters at 10.45 AM. Thomson Reuters undertakes both automated and manual audit and review procedures at this stage to ensure that the rates contributed are genuine. The rates are ranked from highest to lowest and the top and bottom quartiles (25%) of the rates are excluded to ensure that outliers do not influence the distribution (From 18 contributed rates, 8 rates are excluded – 4 each of the highest and lowest rates). The arithmetic mean (average) of the remaining mid quartiles’ values is then calculated to produce the IIBR, rounded to 5 decimal places. 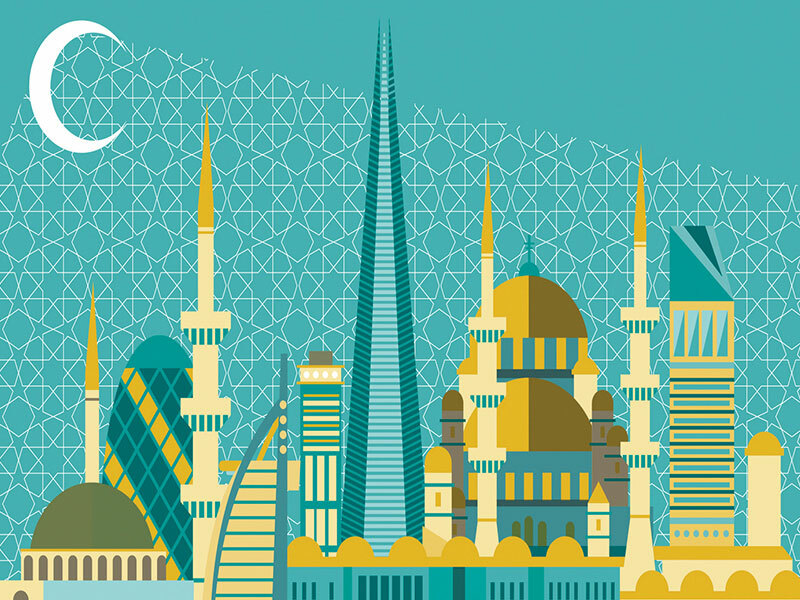 However in reality the benchmark rates risk management hovers above as a “two- edged sword” for Islamic banks as they are potentially exposed to risk whether the rates go up or down. Why! an increasing benchmark rate impacts the economic value of equity and capital base of Islamic banks. On the converse side, a decreasing benchmark rate regime also exposes the same financial institutions to risk of profitability and non-performing assets as their customers may exit and choose early settlement. Empirical results indicate that a persistently low benchmark rates regime carries strategic implications for Islamic banks, including pressure on profitability, excessive risk-taking and distortion in credit allocations. On the other hand, in light of the evolving global macroeconomic conditions including a gradual tightening of monetary policy by the central banks in the medium to long term, an increasing benchmark rates regime indicates the significant loss of the capital base and emergence of displaced commercial risk, causing early withdrawals by the customers due to higher expectations in dual banking systems. 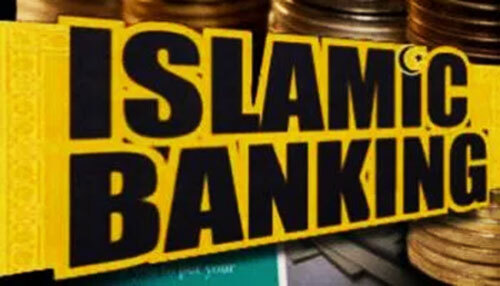 Cases of the banks including ABC Islamic Bank and Al Baraka Banking Group from Bahrain; First Security Islami Bank Ltd and Islami Bank Bangldesh Ltd from Bangladesh; PT Bank Shariah Mandiri Tbk and PT Bank Shariah Muamalat Tbk from neighbouring Indonesia; Islamic International Arab Bank plc and Jordan Islamic Bank from Jordon; Boubyan Bank and Ahli United Bank BSC from Kuwait; and Bank Islam Malaysia Bhd and Kuwait Finance House (M) Bhd from Malaysia, among others Show that the post-global financial crisis scenario has presented extraordinary challenges to the global economy in general, and the banking industry particularly Islamic banking in particular. One of the new set of challenges to beset the financial industry is the risk management in changing benchmark rates risk for Islamic banks. This has received considerable prominence in the banking sector including Islamic banking, due to a number of reasons including supervision of banks’ benchmark rates under Basel II Pillar II and Pillar III. Here we take example of Malaysia where Islamic interbank market and conventional markets exist in Parallel. In Malaysia Islamic banking benchmark rates do exist for overnight and 3 month tenors whereas conventional market do exist for other tenors as well. The comparison reflects that Islamic Money Market carry higher rates making it less competitive with conventional side and showing liquidity pressure with less diversity on tenor’s side. Hence without addressing these issues we cannot move for installing Islamic benchmark rates in their refined form particularly when Islamic banking system have to compete with conventional banking market in reality.